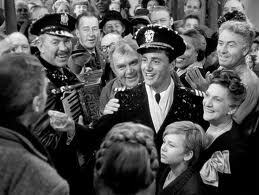 I have enjoyed It’s a Wonderful Life at least once a year since being introduced to it by my dad in 1977. It is an entertaining, heartwarming movie with a tour-de-force acting performance by Jimmy Stewart – his first film after fighting in WWII. We all know the story: George Bailey is a good man with grand dreams who puts them aside to have a family and help his town. He despairs when things go really bad one Christmas Eve and he is ready to commit suicide. Then George has the chance to see what the world would be like if he had never been born. He is helped by Clarence, (Angel Second Class), sent to earn his wings by helping George. Clarence delivers the main message of this endearing movie which has touched so many lives. George has to learn that while he never achieved the goals he envisioned, he was instrumental in the lives of most members of Bedford Falls. But besides this crucial lesson, there are many other gospel messages we can harvest from the movie. 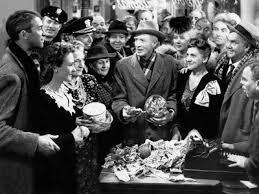 As we go through the story, let’s see what we can learn from George Bailey and his wonderful life . 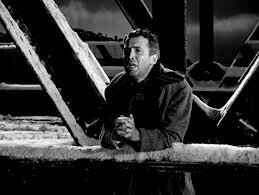 . .
As the movie opens, prayers are heard in Heaven and someone needs to be sent to George Bailey in his moment of need. It’s Clarence’s turn to help but he isn’t the smartest clockmaker in Heaven. However, he does have what’s important – faith. Obviously the Heaven in the movie agrees with Jesus, who said the faith of a child is needed to enter the Kingdom of Heaven (LK 18:17). George runs into Mary Hatch at a high school graduation party. George has known Mary all her life, but now is attracted to her. 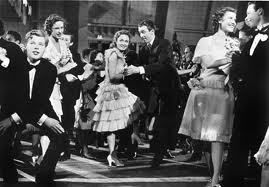 Their conversation is interrupted by the announcement of a Charleston dance contest. George and Mary both say they aren’t good. They participate anyway and have fun, even when they fall in the pool which opens beneath them. Like David, Moses, Peter, and Paul, George doesn’t let his shortcomings stop him from doing what he should. God doesn’t look at our resume, but our hearts, measuring our desire to follow. 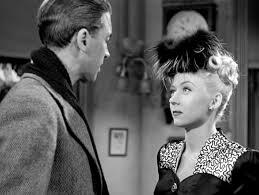 George gives his old friend, Violet, a reference letter and some money to make a new start outside of Bedford Falls. Violet is choked up and admits that she’s glad she knows George. The Gospels tell us that people went out of their way to meet Jesus, so it’s a safe guess that everyone who knew him was equally glad they did. Are people glad they know you? If not, what can you change? After George releases his frustrations on his family, he goes out into the night. Mary calls friends to help him. The children come up with their own idea on who to turn to: God. Eventually the adults pray as well – these are the prayers we hear at the beginning of the movie. 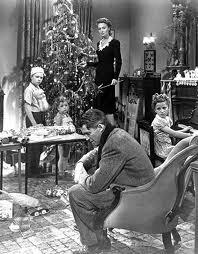 Started by the children, the entire town of Bedford Falls learned the message of MT 21:22 to turn to God with our needs. Having blown up at his family and beginning to despair, George goes to Martini’s bar. George turns to prayer and asks God to “show me the way.” While he may not be comfortable with prayer, his request for guidance -- rather than an easy solution -- shows sound theology. Shortly after this prayer, George is punched by Mr. Welch. George cynically believes getting hit is the answer to his prayer. But it turns out that Clarence is the real answer – tho not the one George initially had hope for . . . 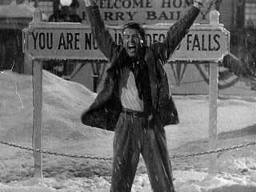 Ate end of the fantasy sequence, George has seen what life would have been like in Bedford Falls if he had never been born. He desperately wants his life back but doesn’t regain it until he invokes God’s name – it becomes a prayer, not just a plea. How often does our life improve when we turn to God? Clarence asks George to help him earn his wings. He also later asks the heavenly Joseph for assistance. Likewise, Mary spread the word that George was in trouble and everyone in town pitched in. So often in life, others are willing to help us if we only ask for their help. When Potter suggests George turn to “the rabble” in town to cover the missing funds, George says they don’t have that kind of money. They didn’t individually, but together they did make a difference! It’s become part of the American myth, the individual who does everything by him- or herself. But even Paul admitted that he’s stronger when he’s weak and turns to God (2 Cor. 12:10). Harry Bailey offers a toast in his brother’s favor. George discovers the copy of Tom Sawyer Clarence was reading and finds an inscription to him: “No man is a failure who has friends.” Just like Peter tells the beggar in Acts. 3:6, George realizes that there are more important things than money. 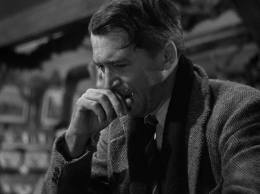 Whether it’s your first or 39th time (as it will be for me), enjoy the magic and hope of It’s a Wonderful Life this Christmas season . . . and learn from it. I wanted to be an astronaut when I was a kid – until I saw the movie Marooned. I’m sure Gravity will do the same to any boys and girls considering such a career. It is out of this world in more ways than one. Veteran astronaut Matt Kowalski (George Clooney) and civilian Ryan Stone (Sandra Bullock) are stranded while spacewalking after a freak accident. Kowalski continues to talk to “Houston in the blind” until Ryan asks why he’s wasting his time. Matt says NASA might be able to hear even if they can’t talk back – and someone may be able to save their lives because of that. Isn’t this the essence of prayer? We might feel that God doesn’t hear us because our prayers aren’t answered – but that doesn’t mean God doesn’t hear the prayer. Ryan later says she would pray but no one taught her how. She eventually does pray when she voices her desires and requests. There are signs of spirituality in the two foreign spacecraft she enters: the Russian ship has an icon of St. Christopher carrying Christ – the common patron for safe transportation. In the Chinese ship, there is a statue of Buddha. Ryan can’t get the spacecraft to work and she is resigned to die. Suddenly Matt appears and gives her the solution she needs: something she had learned in training but forgot. He encourages her to keep on living. Ryan realizes this conversation really didn’t happen – Matt is dead. But his solution definitely works and saves her. Was this a hallucination . . . a dream . . . or Matt actually appearing to her? Just like the Josephs in each Testament, it was definitely a way for God to transmit life-saving information. Re-energized and committed to living, Ryan talks to Matt even though he can't hear her – more prayer – and says that he will soon be meeting her dead daughter, a firm belief in the Afterlife. She asks him a question, pauses, and then says “Roger that,” as if he did answer. What a great way to illustrate the Letter to the Hebrews’ idea of the cloud of witnesses/communion of saints cheering us on and helping us. When the craft splashes down, we hear NASA trying to contact Ryan – apparently they were hearing her (prayers), even if they couldn’t contact her. When Ryan is finally back on safe, solid ground, she stands up and says a prayer of thanks. To paraphrase Kowalski, the movie is a hellova ride – but filled with heavenly ideas. Kevin James plays a teacher who turns to mixed martial arts (MMA) fights to try to win money to save the music program at his school. Along the way, he forms a disparate community of friends who share one thing in common – their belief in him (much the same as the early bickering Church who were bonded by their belief in Jesus). Inspiration comes at the dinner table (“breaking bread”) when one of the characters cites Genesis 32:24, Jacob wrestling with God, and plans their strategy. Often in a movie, there are allusions to the Bible or scriptural quotes without attribution, but this is a rare example of a character in a mainstream movie quoting and acknowledging Scripture. Henry Winkler's character says the kids are inspired by James’s taking to the MMA cage – and inspiring students is “what we're supposed to do as teachers.” As Christians, we are supposed to inspire as well, to lead others to Christ by our words and actions. Many of the early converts turned to Christianity because they were intrigued with the way Christians courageously – even joyfully – went to their deaths. It is also living out what St. Francis of Assisi said – preach the gospel to everyone you meet . . . and if necessary use words. Here Comes The Boom is also about hopes and dreams and perseverance. Jesus said that with patient endurance, we will save our lives. Kevin James finds the same applies to getting a date with Salma Hayek.